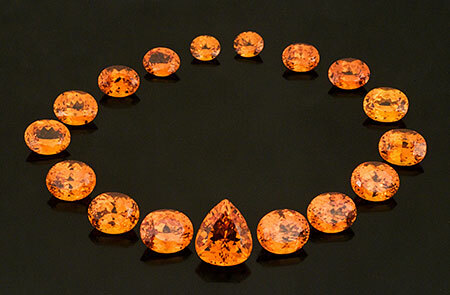 This month Pala features what has become a rare commodity in the colored stone world: a large, fine spessartite suite consisting of 17 well-matched mandarin colored garnets. This set graduates from 8 x 7 mm. ovals to 12 x 10 mm. ovals, which are set off by a pear-shaped center stone measuring 14.6 x 12.5 mm. Larger spessartites with exemplary orange color such as these have become increasingly rare as the inventory of fine Nigerian material disseminates amongst connoisseurs. With the deposit in Nigeria being out of production for a few years now, and the new Tanzanian material being heavily included and found in smaller sizes, the supply chain has been cut off. This colorful suite may be one of the last great assemblages of the fine material we have all come to know and love from Nigeria. 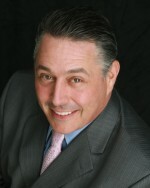 Lawrence Hess has been appointed executive director of the Plumb Club, the elite industry organization of manufacturers “with the common denominator being ‘best in class.’” The announcement was made in late October, and carried by news outlets such as National Jeweler. Hess somewhat follows in the footsteps of his father, Jose Hess, a founder and past president of the group. Hess has 25 years of industry experience, and so it may not easily be recalled that he once had an association with Pala International and The Collector Fine Jewelry. The Collector’s Jeanne Larson recalls: “I had a wonderful relationship with his father, Jose, through The Collector Fine Jewelry. Lawrence went to GIA and upon his completion of the GG diploma, I offered him an internship in my La Jolla store. It began in June of 1983. He worked in the store under manager Anne Halsey. He then transferred up to Pala International [in Fallbrook] and worked there” until September of 1985. While it may be overlooked during the holiday bustle, the season leading up to Christmas, known as Advent, actually has a penitential aspect. Purple may be seen amid the red and green, and liturgical ministers are advised to observe decorum. As explained by a Roman Catholic guidebook, “[T]he organ and other musical instruments should be used with a moderation that is consistent with the season’s character and does not anticipate the full joy” of the Nativity. Thus we can recommend without reservation Sacred Spain: Art and Belief in the Spanish World, imagery of Passion (and Glory) designed for devotion and introspection—imagery that once might have been considered idolatrous. The exhibition, at the Indianapolis Museum of Art, will not travel, and must close on January 3 so that its treasures can be returned to the parish churches from which many have been lent—for Lent. Crown of the Andes. Gold, cast, repoussé, and chased, with emeralds, 13.5 in. high, 13.25 in. diameter. (Photo courtesy Indianapolis Museum of Art. 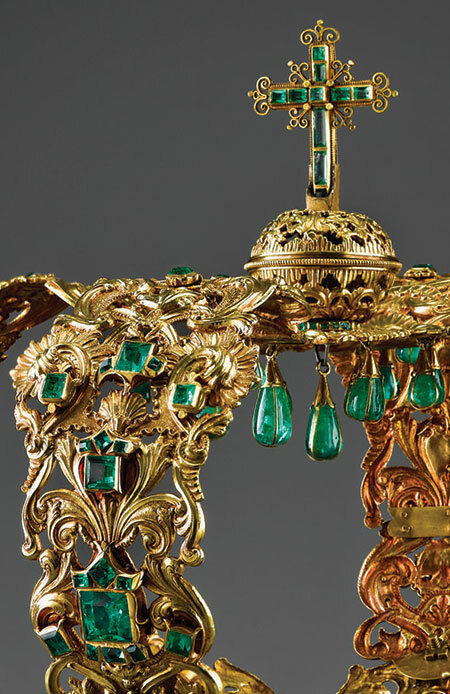 In his book Emeralds, A Passionate Guide, Ron Ringsrud recounts the story behind this exquisite diadem, which took “six years of labor” to complete. It was fashioned from material donated by parishioners of the colonial town of Popayán, in western Colombia. As a trade crossroads, the town would have been expected to be decimated by plague when the disease ravaged the surrounding area in 1590; but the town was spared. Divine intervention? Of course, and it was to be reciprocated with the creation of an image of Our Lady, lavishly invested. 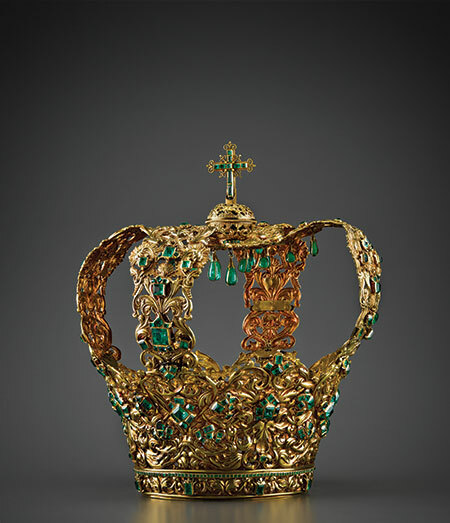 As a religious icon, as a magnificent creation of jewelry, and as a display of emerald color and clarity, the Crown of the Andes is many times treasured. It can only be hoped that this fine rarity will surface again and bless the crowds with is regal religious power. If the idea of an a Midwestern sojourn gives you the chills, how about Southern California? 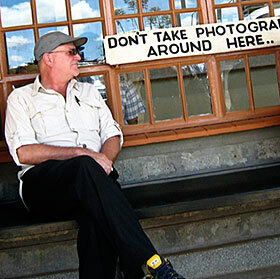 Southland denizens will have two chances this week to meet Ronald Ringsrud, author of Emerald, A Passionate Guide, at Nevada Mineral & Book Company, 342 S. Tustin Street, Orange, CA 92866. 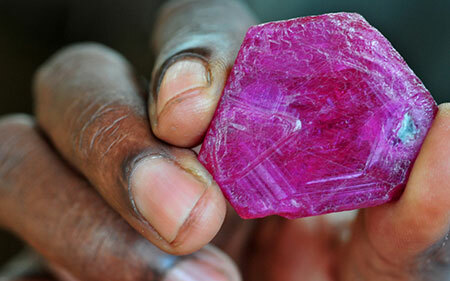 For the last two years, rubies from northern Mozambique have created a stir in gem markets from Tanzania to Thailand. Stirred also are the passions of gemologists to visit the localities producing these gems. 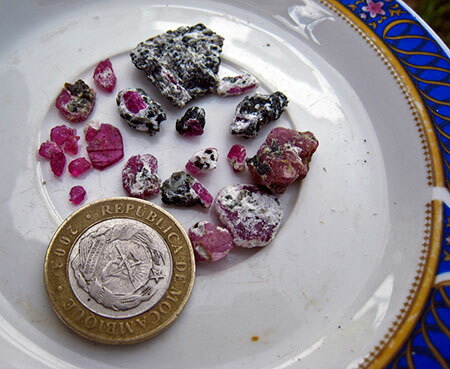 Earlier this month, after two previous attempts, Vincent Pardieu was successful in visiting new ruby mines in the northernmost province of Cabo Delgado, near the town of Montepuez, about 200 kilometers inland from the provincial capital of Pemba. 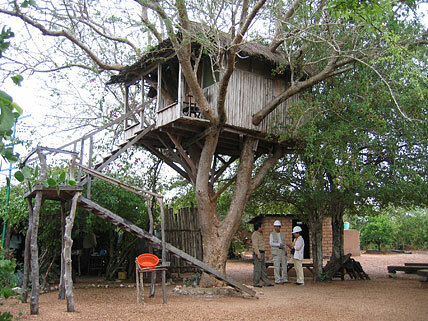 Cabo Delgado is where the Portuguese colony’s ten-year struggle for sovereignty was launched, and once gained in 1975, the country was embroiled in twenty more years of civil war, fomented by foreign and displaced elements. So perhaps it’s not surprising that in September, in neighboring Niassa province, Pardieu’s first attempt to visit that ruby mining area would be met with a “misunderstanding”—leading to his party’s arrest and release after three days’ detention. A proposed visit to the mines of Montepuez was nipped in the bud a few days later when Pardieu was told the political situation during the presidential election season precluded their plans. 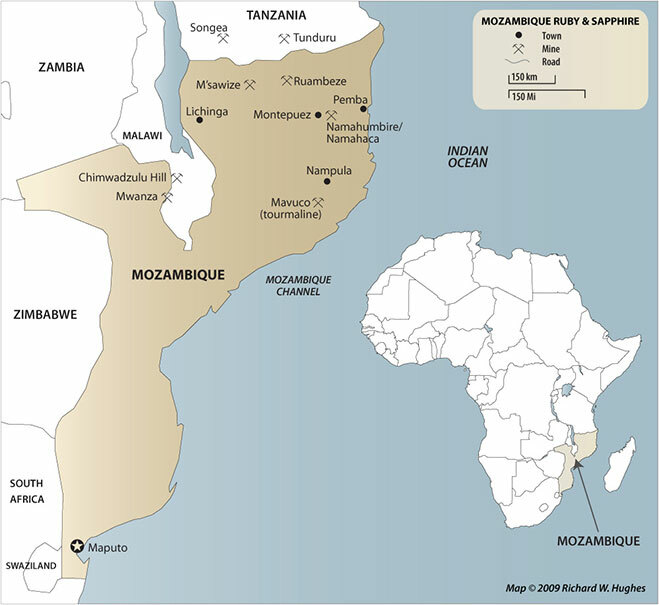 Wasting no time, on the day before the election, Pardieu returned to Mozambique—solo this time—and nine days later was successful in visiting the Niassa mining site, in the Niassa National Reserve, one of the largest reserves in Africa, occupying 42,400 square kilometers in the north-central area of the province. Pardieu identified two types of deposit before barely outmaneuvering heavy rains. (Read the full story on FieldGemology.org.) A visit to Montepuez still was not in the cards, however. Such exceptional stone is in fact a byproduct of mining for material suitable for lead glass and flux type treatment, as without these treatments the miners would not find a market for their stones, and thus would soon stop working. This is what happened in Winza: first everything was selling; there were then several thousands of miners, then the buyers found out that the low quality material was not suitable for heat treatment [the blue color zones did not respond to heat]. Dealers refused then to buy it or were giving prices far to low for the miners to survive. The mining production then dropped dramatically as most miners left the area. In Montepuez it is different: all the material can find a market; thus this mining area has probably a much brighter future... Maybe a new Mong Hsu-like story? Who knows? The story of this latest excursion was published today on the website of Pardieu’s employer and sponsor, Gemological Institute of America Laboratory Bangkok. 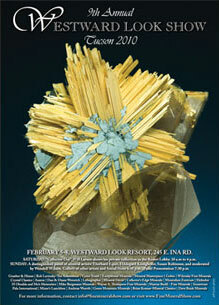 Pardieu tells us that articles on the mines are forthcoming in ICA’s InColor and GIA’s Gems & Gemology. 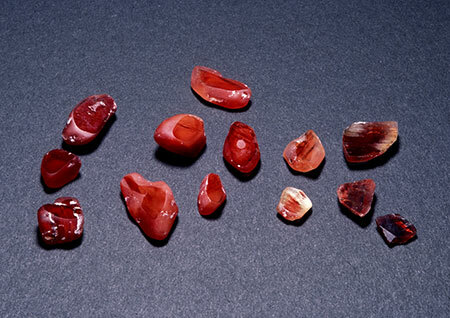 A September 13 update of a March 22 report on rubies of the region also is available. A prominent Yangon hotel, the Kandawgyi Palace, is slated to feature a year-round gemstone exhibition, according to a Xinhua story December 2. The intent is to “attract more visitors to the country as part of its bid to boost both the gem industry and the tourism industry,” according to hotel sources contacted by the news service. An incredible 60 showrooms will be devoted to the permanent exhibition, which is scheduled make its debut early next year. “Gem-related training” is to be conducted, but who would receive the training was not mentioned. The Xinhua story above also released figures for the 18th Mid-Year Myanma Gems Emporium, which earned $120.5 million (€96.46 million). The sale, which was held October 25–November 6, offered 8,140 jade lots, 223 lots of gems and jewelry, and 270 lots of pearls. About 2,000 foreign gem merchants attended, according to the article. As we have reported over the years, climate and weather in Burma can have devastating consequences in the country’s jade and ruby lands. 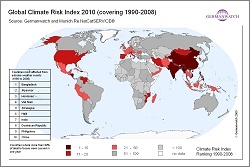 In light of the United Nations Climate Change Conference currently underway in Copenhagen, we found the following of interest. The son of the cartographer, Jean-Baptiste Tavernier led a life most of us would envy. During his childhood years, he was able to meet explorers from all points of the world when they paid visits to his father’s shop. While his father documented the coordinates of the exotic and sometimes dangerous places to which the explorers had traveled, Jean-Baptiste listened attentively to the stories each visitor would tell. Armed with the tales he heard as well as the encouragement of his father, Tavernier would head out to see the world in ways most young men of his time could only imagine. 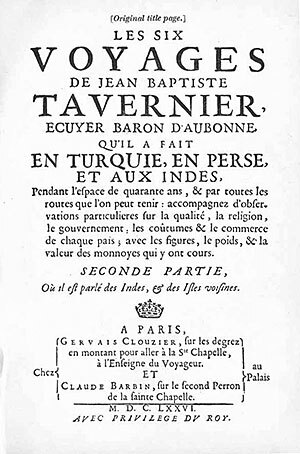 The French Blue gives splendid accounts of the six major voyages taken by Tavernier within the years 1631 and 1669, supplying intricate insight into each journey separately. From Persia, to India, and back to France, Jean-Baptiste Tavernier became arguably the most influential gem merchant of all time. 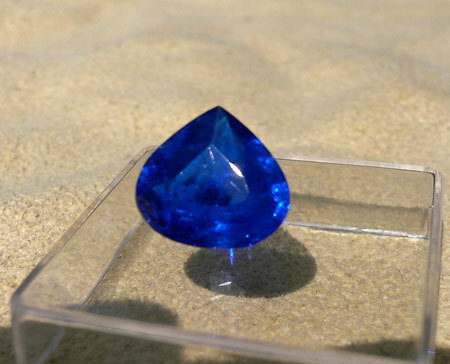 The stone moves through history: stolen, bought, recut and renamed “The French Blue,” then stolen again, sold again, and ultimately recut one last time, and renamed once more, as “The Hope Diamond.” From the time of the stone’s curious acquisition, the tale of the 116-carat intensely colored “Tavernier Blue” has been and will be shrouded in a certain amount of mystery. During his voyages, the decisions Tavernier made would mold his entire life. Without his sense of spirit and adventure, the existence of such an amazing stone may never have been brought to the attention of the Western world (and, ultimately, to its present home, the Smithsonian). Richard Wise is a terrific storyteller, and like his subject, he’s undaunted by a challenge, even if it concerns the most famous gemstone in history. This book is a great Holiday gift for anyone who never knew the “whole story.” I enjoyed it a lot and I trust you will, too. We received a note last week from Rui Galopim de Carvalho, of Portugal’s LabGem, regarding our last month’s featured topazes. 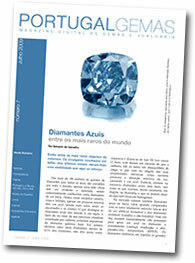 But it was the attachment he sent that caught our eye: Portugal Gemas, the lab’s e-newsletter, with a cover article on Diamantes Azuis—blue diamonds. 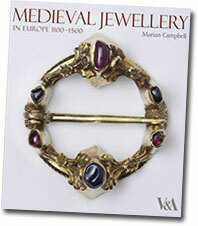 Portrayed on the book cover, from a show at London’s Wallace Collection, is a Jewish wedding ring—that rings, as can be seen (and heard) in this video. Not long after we announced its exhibit “Maharaja: The Splendor of India’s Courts,” the Victoria and Albert Museum issued the monograph Medieval Jewellery in Europe 1100–1500, by Marian Campbell. 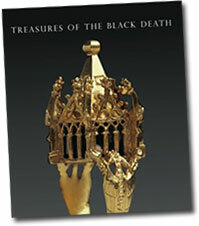 The book focuses on a subset of the V&A’s impressive, larger collection that covers Classical times to the present. 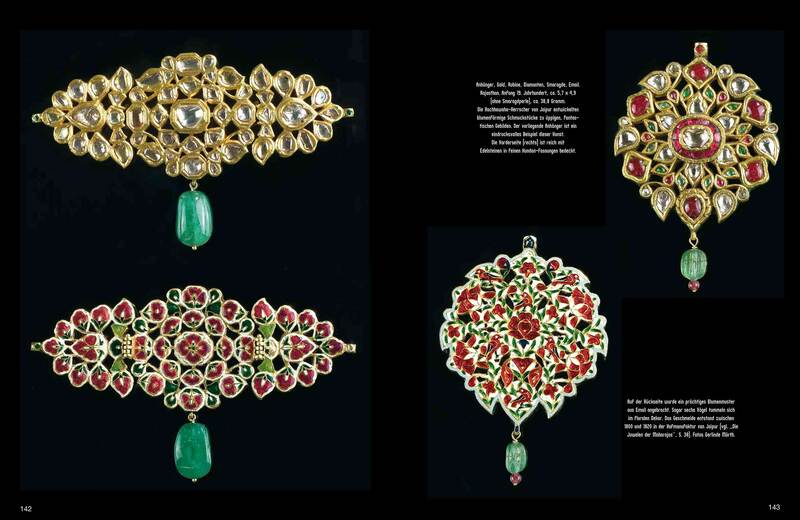 The slim, 112-page volume contains 90 color images and includes “contemporary portraits and sculpture to place the jewellery in its cultural context,” according to this entry at the museum shop. On October 23, Chicago’s Field Museum of natural history unveiled its newly expanded Grainger Hall of Gems, which University of Chicago Press publicist Mark Heineke says “will rival the collection at the Smithsonian in value and sheer breadth.” The Hall of Gems has had several renovations and additions through the years, the last being in 1985. 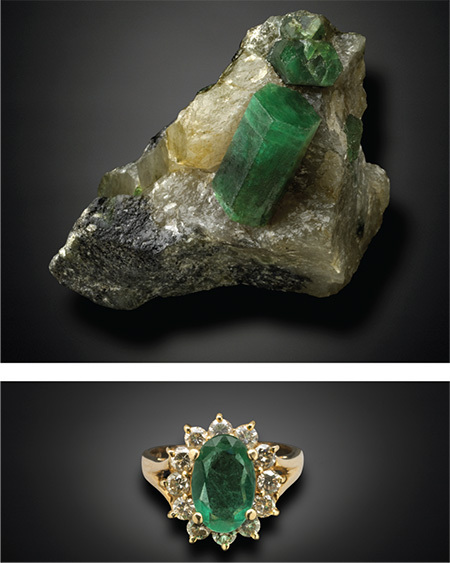 The current refurbishment takes advantage of new lighting technology and “a fresh interpretation of the gems, focusing on their origins and relationships by featuring stones in the matrix, as cut gems, and as jewelry pieces,” according to the museum website. The museum originally was founded to house collections assembled for the World’s Columbian Exposition of 1893. 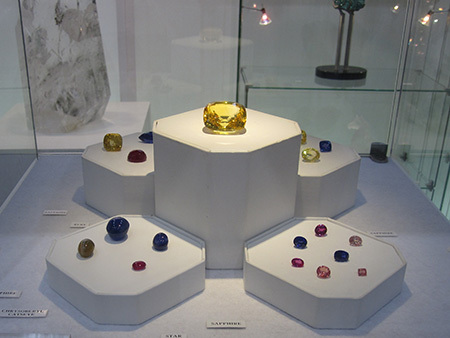 That fair’s gemstone exhibition was assembled by Charles Lewis Tiffany’s gem expert, George Frederick Kunz, who 15 years earlier, at the tender age of 21 or 22, had supervised the cutting of the famous yellow diamond that goes by the Tiffany name (and is itself featured in another show at the Field, The Nature of Diamonds). That Exposition’s exhibition became the seed of a collection that now includes more than 600 gemstones and 150 pieces of antique and modern jewelry. This month we thought we would follow the birthstone trail and take a closer look at some of the colors within the topaz family for the month of November. 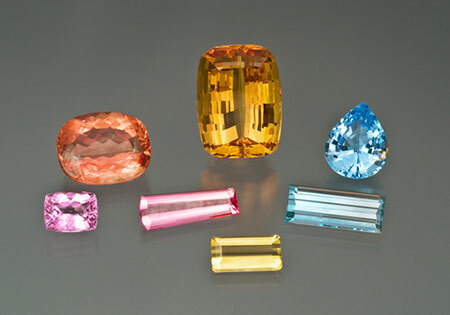 From the irradiated blues to the precious pinks, topaz can be an economical source of color for a neophyte, or a prize for the advanced collector. All the controversy of irradiated blues has surely softened that market, but many people are still enticed by the neon blue hues. Imperial topaz from the golden to red hues still are exclusive to a few mines in the Minas Gerais region of Brazil. As the supply seems fairly low but steady, and the demand keeps rising, it’s harder to match stones with collectors, causing prices to continue their ascent. And if we refer to Kensho Okamoto’s table, listed below, we find that the topaz family helps to calm down, and cheer up, the mind. We all could use a taste of that medicine. Pala International received a very special visitor from Japan a couple of weeks ago: a man who recombines aspects of the gem world that have been separated by most in recent times. 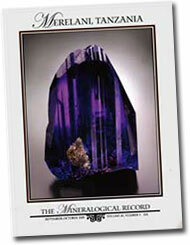 His unique philosophy entails tuning into specific “wave motion” whereby one can grasp the harmony between one’s body and that of a given gemstone to open up energy flow and heal spontaneously. Kensho Okamoto describes the blockage of a healthy circulation of energy due to environmental factors such as the toxicity of chemicals ingested into our bodies as well as the toxicity of negative media and people on our minds. Engaging in today’s chaotic world, says Mr. Okamoto, creates imbalance, while tapping into the healing properties of gemstones can actually reawaken one’s energy chakras and allow a harmonious state of well being. From the 1400s to the 1600s, a similar edict was synonymous with gemstones’ powers. 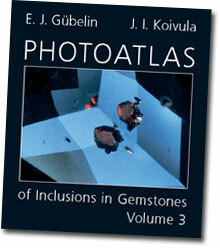 You can find numerous references to metaphysical properties of gemstones written in the medieval lapidaries published during that time. Mr. Okamoto has not only theorized and alluded to the process but has used the scientific method to generate quantifiable results for the non-believers. During his recent lecture at the Gemological Institute of America in Carlsbad, he even went so far as to demonstrate to his audience the effects of gemstones on the body—and on something quintessentially Californian: a glass of wine. Mr. Okamoto began by selecting a species of gem to match the “frequency” of a student volunteer in order to create sympathetic “wave motion.” The energy was then transmitted through the student’s body and into the wine glass, exciting the little wine molecules to actually shift the taste. Fellow students sampled the wine and definitely tasted the difference, becoming believers first-hand. Gemstone energy also seemed to cure a few aching necks and backs by using the appropriate gem to stimulate the problem areas. Mr. Okamoto has consolidated his findings into an detailed table that matches ailments to their appropriate gemstone (view the full table here). 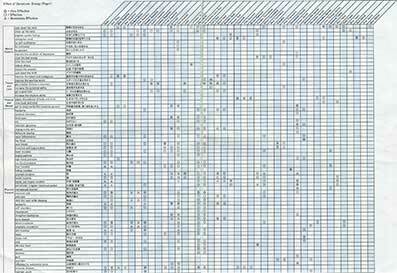 Mr. Okamoto's table, listing physical and mental aspects on the left, with corresponding gemstones, purported to influence those aspects, listed at the top. View the full table here. 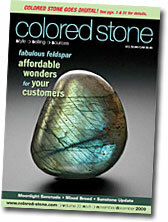 In its last hard-copy edition before going digital, Colored Stone’s editor-in-chief David Federman and crew devote the bulk of its editorial pages to feldspar, the group of silicate minerals that includes various appellations such as sunstone and moonstone. “The world may not be paved with diamonds, but it is paved with feldspar,” begins one article in this “focus on feldspar,” alluding to its prominence in the earth’s crust. Starting out with unakite (pink orthoclase feldspar, green epidote, and clear quartz), the discussion moves on to moonstone (including Sri Lankan blues and Indian rainbows). Dr. Joel Arem looks at the chemistry of feldspar: plagioclase in a compositional range from Ca to Na, and alkali from Na to K. “In terms of variety, including colors, optical effects, and textures, [feldspar] is unrivaled in the gemstone world,” Arem concludes, and the attractive photos that attend the text make that abundantly clear. If one needed more convincing, managing editor Karla Rosenbusch profiles the work of three jewelry designers who incorporate feldspar into their work. Federman rounds it out with an overview of natural sunstone from Oregon, which avoided the diffusion-treatment controversy of its Chinese and Mexican cousins in recent years. Editor’s Note: This story was revised for accuracy on 7/28/10 after consultation with Antoinette Matlins. Earlier this month, the ABC television show “Good Morning America” (GMA) discussed the relatively new issue of lead-glass-filled rubies. GMA went department-store shopping for rubies with expert and author Antoinette Matlins. 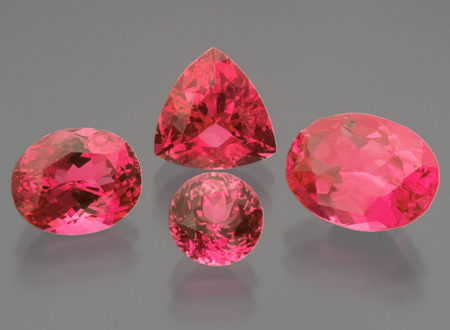 The three ruby pieces purchased by Matlins from three different Macy’s stores were confirmed by American Gemological Laboratories (AGL) to be composite rubies, a term applied to ruby rough that has been cleaned of non-ruby material, resulting in a fragile, sponge-like, multiple-crystal structure that is then fused with lead glass, and faceted. The department stores’ posted disclosure notices omitted this type of filling from the list of possible enhancements. 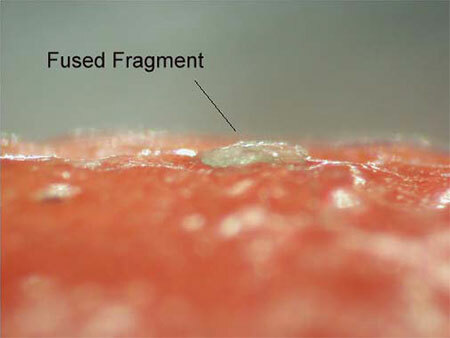 While gemologists will routinely examine a stone for filling, an unwitting consumer could damage such a stone. 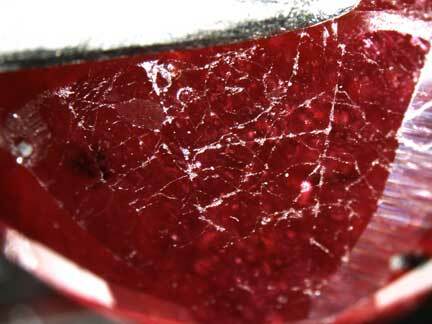 “Lemon juice or common household cleaners can also damage composite rubies,” the GMA web and video story noted. Last month, a different sort of tabloid, The Independent of London, amongst others, crashed the party with its own headline: “The ‘£11m Gem of Tanzania’ exposed as a £100 fake.” And its own photo—of a pinkish-purple rough gemstone specimen. A David Unwin of Wrekin Construction (we’re not making this up, folks) acquired the specimen in a land deal from a property developer who had documents that valued the specimen at £300,000. Upon its bankruptcy in March, however, Wrekin listed the gem at £11 million—the firm’s largest asset. A Wrekin annual report claimed valuation was performed on August 31, 2007 by the Instituto [sic] Gemmologico Italiano in Valenza. Problem is, the Istituto was closed that day, during its annual month-long holiday. On March 17, the UK construction magazine Building ran the transcript of a conversation with Dr. Loredana Prosperi, who stated that the school’s lab issues only certificates (not valuations), that the school’s Valenza school has no lab at all, and that it has no British clients. On March 27, the Financial Times traced the stone’s history, which was discovered in northern Tanzania in 2002 and originally sold for £13,000. Six months later, on September 30, administrators for the defunct Wrekin announced that the specimen would be listed in Rock ’n’ Gem, a collectors quarterly. 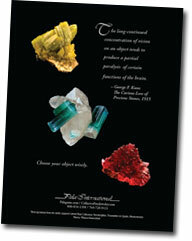 (You’ll also see an advert for the specimen on page 12 of the current Colored Stone.) It seems that no auction house would touch the thing. That evening, Financial Times reported that the valuation docs acquired by Unwin with the specimen “were denounced as forgeries by the purported valuers,” who also, it appears, estimated the specimen’s current worth: £100. 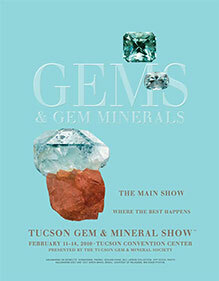 The award is to be presented during the AGA’s Tucson Conference in February. Named after the AGA’s founder, the award was created in 2000 “to recognize people who have made significant contributions to the gemological field.” Coincidentally, the issue of Pala’s Gem News you are reading contains news items featuring two past awardees: Antoinette Matlins (2005) and Christopher P. Smith (2009). Smith’s American Gemological Laboratories announced on October 22 its acquisition of the rights to JewelFolio™, the hardbound reports issued for select high-end colored gemstones, originally developed by Hughes at the American Gem Trade Association Gemological Testing Center, which closed last July. 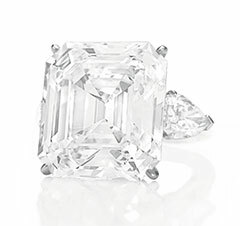 Christie’s auction house in New York sells a 32.01-carat, square, emerald-cut diamond for $7.7 million over the phone. 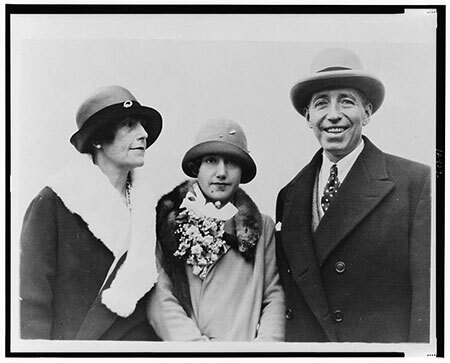 An unidentified buyer ordered the centerpiece of the Honorable Walter H. Annenbergs’ estate, which was previously bought by the late Leonore Annenberg on her 90th birthday. This price per carat establishes a new record over the previous 30-carat emerald-cut that was sold for $3.1 million at Christie’s in Geneva back in May. Two men were charged with the murder of Campbell Bridges, according to a September 17 story by Reuters. The two, Alfred Njiruka and Samuel Masala, had been identified by witnesses during a parade. Njiruka, who had been arrested after the attack last August, was accused of leading the mob that attacked Bridges, his son Bruce, and the rest of their party. 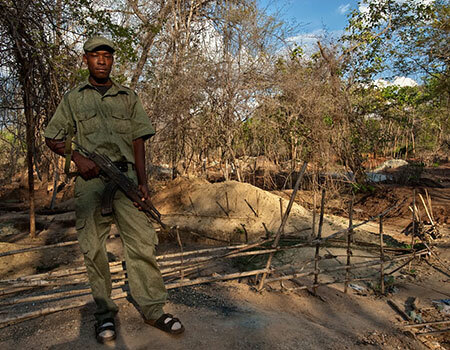 He is the leader of a group of small-scale miners in the region where the attack took place. In August we noted the 54% drop in Pakistan’s gemstone exports for the 2008–09 fiscal year (July–June), using Average Unit Price statistics, according to the Trade Development Authority of Pakistan (TDAP). Revised October 25 figures for the eleven-month period July 2008–May 2009 show a nearly 58% drop. The first quarter (July–September) of the 2009–10 FY shows a 13% decline over Q1 2008–09. Gemstones, of course, have taken a back seat to Pakistan’s growing jewelry industry. The revised figures for July 2008–May 2009 show a 24% increase in jewelry exports over the same period in 2007–2008. 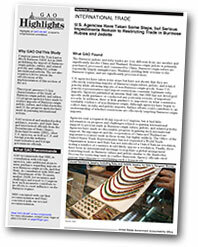 The Q1 2009–10 figure for jewelry shows a 284% increase over the same period last year. During the July 2008–May 2009 period, trade in jewelry with the United Arab Emirates increased by 28% while that trade with the U.S. dropped by 14%. The U.A.E. share of total jewelry trade is an enormous 92.5%. During the same period, jewelry increased its market share of Pakistan’s commodities from 1.09% to 1.44%. That same period saw a decrease in Pakistan gemstone trade with both the U.S. (–36%) and U.A.E. (–89%). Two other statistics are worth reporting. 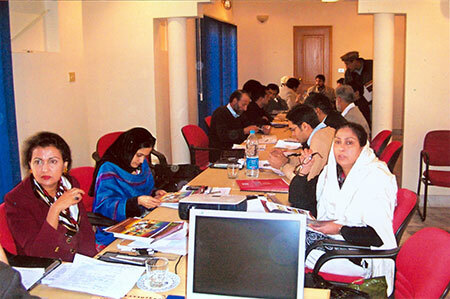 In our August 2007 report on Pakistan, we quoted a job posting on the Trade Authority of Pakistan website that claimed Pakistan was the eighth largest consumer of gold in the world. That place had shifted to tenth, according to a July 16, 2009 report in Pakistan’s Daily Times, also based on gold consumption. An October 3 article by Associated Press of Pakistan (APP) quoted a government trade rep as saying $6 million (Rs. 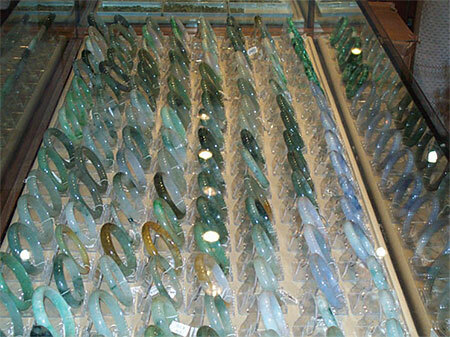 500 million) worth of gemstones per year are extracted from Gilgit-Baltistan, in northeast Pakistan. A gold survey was done in the area in order to spur domestic and foreign investment. The government rep, Tourism and Mineral Department secretary Naib Khan, listed more than a dozen gemstones that are being extracted from the area. Investment, however, does not seem to be quite the problem it was for 2007–08. 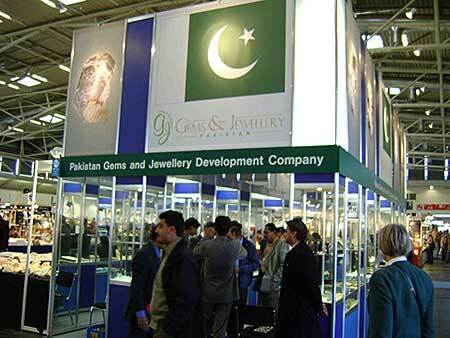 Looking forward to 2009–10, according to the report, Rs 1.4 billion ($16.8 million) were being allocated for a development project of the Pakistan Gem and Jewellery Development Company (which was launched in 2007 and whose website now matches its ambitions). All the non-glamorous minerals, having immense socio-economic benefits would be fully utilized… Dimension stones, precious and semi precious stones industries and other mineral based industries would be developed to meet the ever increasing demand of various sector[s] of [the] economy. The website includes about 30 notices of training sessions that have taken place over the last two years. Also posted are news items about the numerous local and international trade fairs with Pakistan presence. New pic. Here’s an older stone that Jason Stephenson pulled out last month to photograph for our Old Stock…New Pix feature: a 2.24-carat natural red spinel from Burma with lots of light for a winter night. Inv. #16655. Total gemstone production from April–August was down 58% over the same period in 2008, according to figures released earlier this month by the Central Statistical Organization. 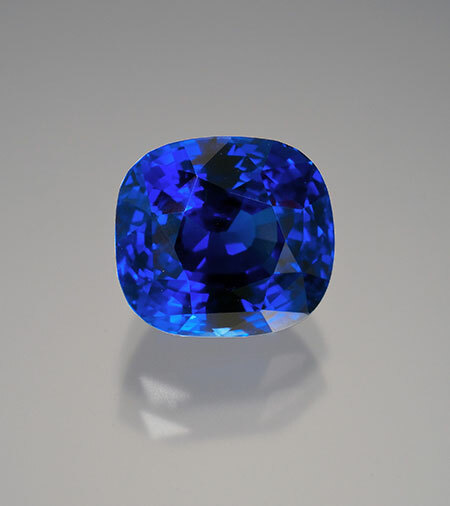 Rubies were down by 150,000 carats (–15%) and sapphires by more than 500,000 (–68%). Jade production fared better, with a decrease of 18%, or 2.5 million kilos. Pearl production, however, was up by about 300% over 2008. 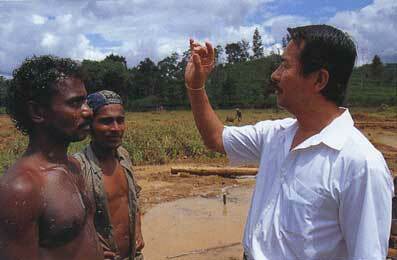 Trade between China and Burma rose over 26% in calendar-year 2008, according to an October 24 Xinhua story. “China has risen from the 6th position to the 4th in Myanmar's foreign investment line-up,” the story concluded. Author and jeweler Richard W. Wise has published a second book, but it’s not really a follow-up to his Secrets of the Gem Trade. 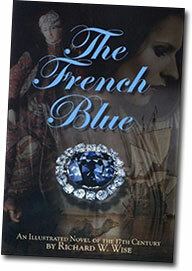 The French Blue is an historical novel based on the life of merchant Jean-Baptiste Tavernier, who published accounts of his voyages in the 1670s. 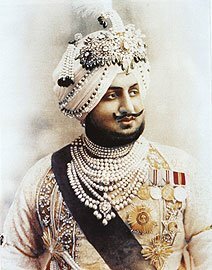 During those travels, he acquired a 112-carat blue diamond, likely in India, and sold it to Louis XIV for a tidy—but, according to Wise, possibly low-ball—sum in 1689. Wise’s analysis of the political machinations in the court of the Sun King are woven into the book’s fictive account of a tale seemingly familiar to students of storied gemstones, yet nonetheless puzzling when certain questions are considered, as Wise does. 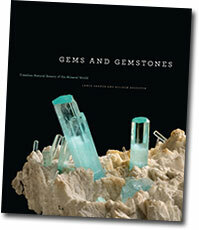 The current issue of Gems & Gemology includes an article that examines the relationship between the 17th century line-drawing of the Tavernier Blue and a computer model of the lead mock-up of the gemstone, discovered nearly two years ago. Scott D. Sucher, author of this study as well as a prior analysis of the Koh-i-Noor, specializes in replication of famous diamonds. The Munich show also features domestic delights—well, nearby, anyway. 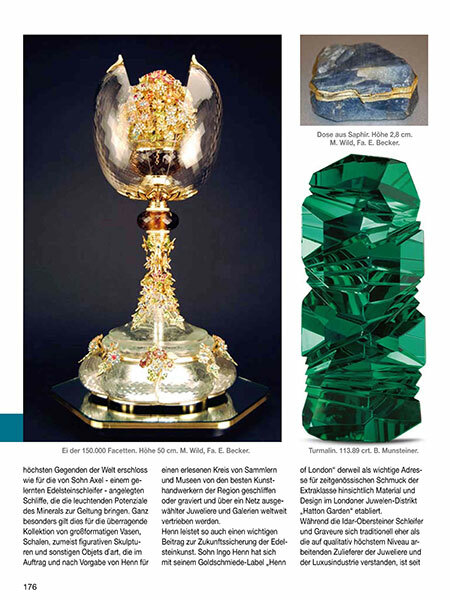 “Alpine Treasures: From the Mountain to the Display Case” will include 300 minerals from the Tyrol region that straddles the Austria–Italy border. The specimens, drawn from different, mainly private collections from the Naturmuseum Bolzano (Museum of Nature South Tyrol in northern Italy), will be accompanied by several anecdotal explanations of provinence and discovery. That’s not a crude way of getting a sales associate to leave the break room. It’s the Munich show’s jewelry studio featuring designers and goldsmiths who will create something on the spot, individualized, with no obligation. If you like it, commission it and it’s yours. This month we feature two truly phenomenal gems. As our curiosity for the natural wonders of the gem world matures we seem to appreciate truly fine phenomenal more and more. 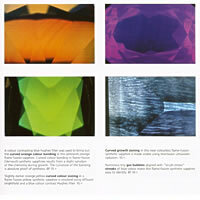 When the unique properties line up to create a show of light and color, we are mystified and enthralled by their beauty. As scientists we wonder how the conditions culminated and what elements coalesced to produce such a colorful and symmetrical gem: the right and left brain blending to an immaculate perception of these interactive jewels. This jewel combines the best properties one can expect from a star ruby. This stone, which features a truly pigeon’s-blood-red body color and a sharp, well-defined star, is from the Mogok Valley of Burma. It appears as a deep red gem under normal lighting conditions, but when hit by a ray of sun it comes alive. 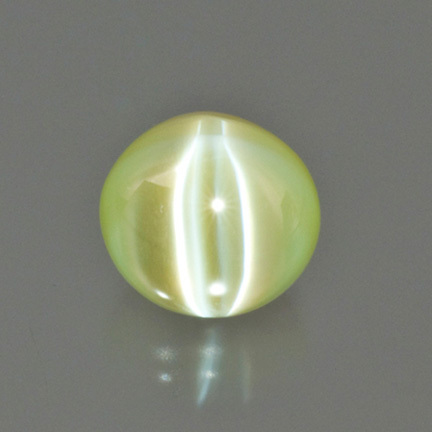 The second featured stone not only has a distinct eye but the body color glows a warm, golden lime hue. This jewel also exhibits the milk-and-honey effect, and can wink as well. 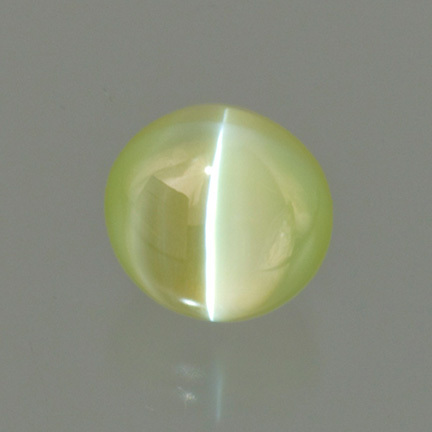 We believe this chrysoberyl comes from the Arusha region in northeastern Tanzania because of its unique electric lime body color and its velvety appearance, but it may be of Sri Lankan origin. Tanzanian spinels hit the market late in 2007 with a bang and have continued to create quite a buzz over the last two years. 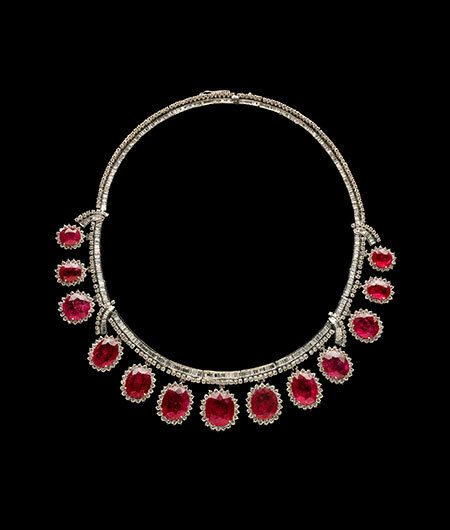 These pinkish red jewels created a new dimension in hue within spinel’s color palette. The glow or fluorescence of these beauties made them stand out from the crowd, and they seemed to be gobbled up by collectors and connoisseurs fairly quickly. Well, production out of Mahenge, Tanzania, has had another pulse as a few new spinels have trickled into the market again. Who knows how long they will last this time? So if you were considering one, now might be your second—and last—chance. Conclusive and less conclusive information regarding the issue of red feldspar treatment was released September 9 by several researchers under the auspices of the Gemological Institute of America. Although some of the information has been reported before in bits and snatches, “Special Issue on Red Feldspar” collects it in one place. At issue is whether feldspar from China has been enhanced to achieve a red color. 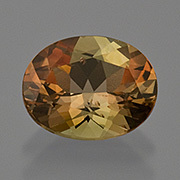 While colored gemstone aficionados suffering from attention deficit disorder will once again have their patience stretched thin, the issues surrounding red feldspar (aka andesine-labradorite) actually may be an example of scientific rigor at its best: the structured examination of evidence, replication of methodology and results, and deductions that don’t presume too much. Samples treated by Crystal Chemistry were forwarded to Kamolwan Thirangoon of GIA’s Bangkok lab, who analyzed both heated and diffused material. These samples were compared with Tibetan and Mongolian material received from Abduriyim. While locality was easily delineated from trace element chemistry for the Crystal Chemistry samples, Abduriyim’s material had chemistry too similar to separate the Tibetan from the Mongolian. Copper concentration could not be used by the lab to differentiate between purportedly natural material and samples known to be diffused in the lab. More study needed. Shane McClure of GIA’s Carlsbad lab concluded that material from Mongolia probably was colorless originally, but that “the possibility exists that a Tibetan mine is producing red and green andesine feldspar.” Like Thirangoon, McClure found that the two localities could not be separated chemically. Nevertheless, in his report McClure includes a fascinating mention of a colorless zone that follows the surface of rough material—a zone that is present in both natural and treated samples. 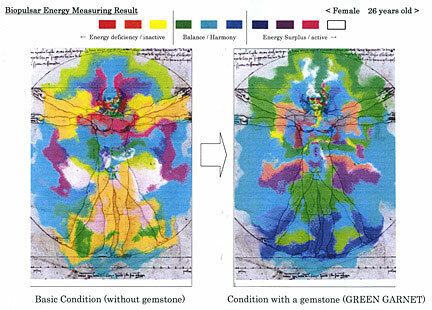 Counterintuitively, “in the untreated stones the [colorless] zone contains little or no copper, and in the treated stones there is significant copper content” in the colorless zone. More study needed. Caltech professor George Rossman’s interim report of an ongoing study includes two graphical representations of chemical fingerprinting, demonstrating the challenge of separating feldspars from Tibet, China, and the Democratic Republic of the Congo. Rossman shows that (re)heating red material from Tibet and Inner Mongolia releases almost no radiogenic argon, in contrast with yellow material that has not been heated. And glassy material found in depressions from purportedly natural red Tibetan material “was rich in potassium and enriched in copper”—an indication of diffusion enhancement—“just like that found in the treated red feldspar from Inner Mongolia.” That the “natural” red material was obtained from a mine visit contradicts the lab results. More study needed. Abduriyim’s study was successful in separating the Tibetan from the Inner Mongolian material using two trace element combos: Ba/Sr and Ba/Li. A graph included in his report shows clear delineation, and other fingerprinting methods resulted in similar distinctions. A full range of observation, testing, and analysis was performed, and Abduriyim’s report—as are those of the other researchers—is filled with photomicrographs to illustrate the text. 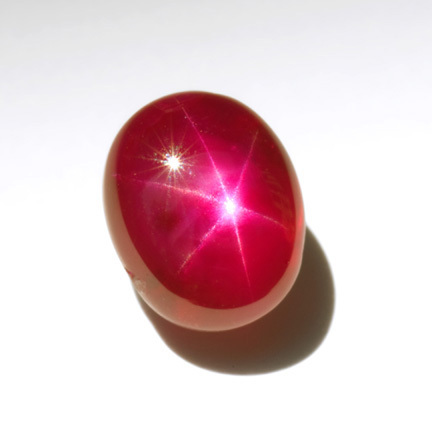 Gemlab on “Lead glass treated star ruby without flash effect”: Researchers looked at treatment that appeared quite natural, with inclusions that could be deceiving, and in the absence of a discernable flash effect (observed by moving a treated stone under magnification). In the same newsletter, Gemlab discusses why a stone labeled “Santa Maria aquamarine” might be a mistake. 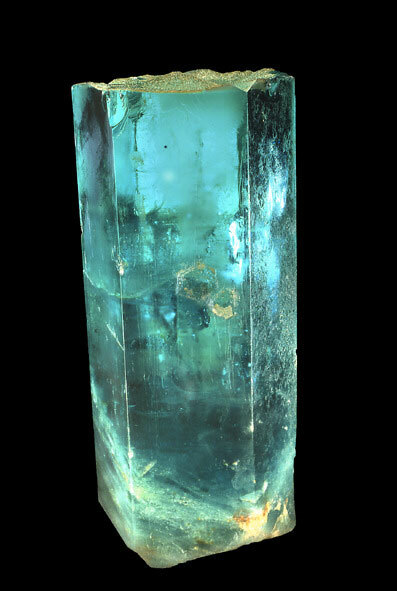 “Aquamarine is not the only blue beryl,” as was determined by spectral analysis. Gemmological Association of All Japan on “Radioactive natural stones,” regarding measurement and, for instance, how several stones of the same material in a necklace could have a combined risk greater than a single stone. Also from GAAJ, “Natural Omphacite,” which discusses the mineralogical distinctions between this “black jade” and jadeite. SSEF now includes X-ray microtomography for pearl testing, allowing the lab to scroll through virtual 3-D internal reconstruction of a pearl at a resolution of only a few microns in thickness. Ever since I first saw the [Barbadian multi-platinum-certified R&B] artist Rihanna, I’ve been amazed by her eye color. Yesterday it dawned on me they have the same colors in them as a lot of andalusites. Would it be silly to point this out in the newsletter? Not in Mixed Bag, it wouldn’t. Both Andalusia—site of the original discovery of andalusite—and Barbados have seen centuries of colonization. They’re a link between the Old World and the New (as is Rihanna’s music). And, of course, both andalusite and Rihanna’s hazel-colored eyes have a natural color-change, making for a lively appearance. Just in time for Halloween, a ghostly form passed through Pala’s hands the other day. A true wonder of nature, this Tridacna pearl was produced by the giant clam in the waters off of the Philippines. 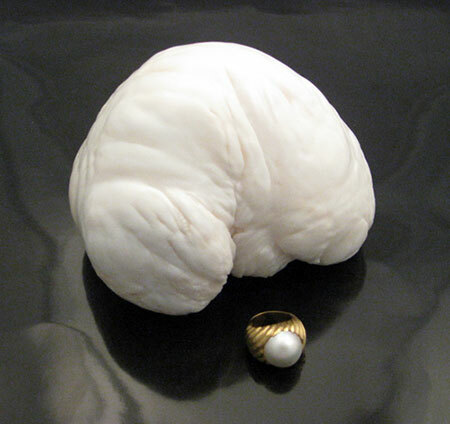 The giant clam pearl measures 6 x 5 x 5 inches and is the second largest known in existence today. This pearl will be auctioned off along with all the wonderful minerals, gems, and jewelry at this winter’s Bonhams & Butterfields auction to be held in Los Angeles on December 6. A 507-carat colorless diamond is nothing to sneeze at, even through a miner’s respirator. But add to that three other crystals from the same production run, weighing 168, 58.5, and 53.3 carats, and, well, you wonder whether Superman might not have relocated from Gotham to Pretoria. 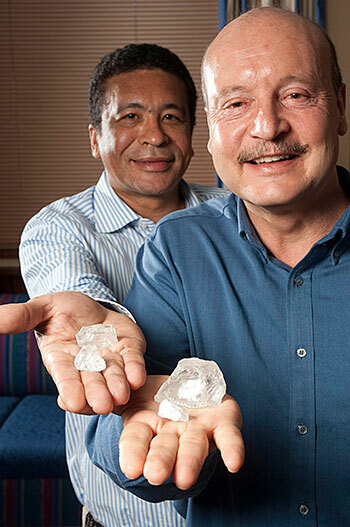 The 100-gram crystal was discovered September 24 at the Cullinan mine operated by Petra Diamonds, according to Mining Weekly. Der Spiegel has posted video that catches it from all the angles. We’re pleased to forward the following market report from dealer and author Ronald Ringsrud. Mid-September in Bogotá, Colombia’s emerald market at 7th and Jimenez was lively and dynamic; dealers, cutters, and exporters were getting ready for the Hong Kong show with the biggest and finest emerald parcels. The September Hong Kong show (along with Basel every April, and Tucson every February) is one of the biggest barometers for the colored stone industry. Big-name buyers were seen walking around every building, but only early morning and after 6 p.m.; the rest of the time they were at desks in the buying offices, viewing the best that the “comisionistas” or brokers could bring around. In one office there was, laid out in perfect rows, a 3000-carat parcel of almost a thousand stones. Such a layout represents countless hours of cutting, polishing and sorting. Another office revealed a set of four stones averaging 12 carats each, for an astounding $20,000 per carat. Amazingly, it is the finest stones that seem to sell quickest. Rarity, among professionals, is instantly recognized. Both of the above selections sold the week before the Hong Kong show. Now, results are starting to be reported on from those returning from Hong Kong, and emerald dealers are reporting that sales were slow. Anticipation was for strong sales, similar to what was experienced in and after Tucson and Basel 2009. 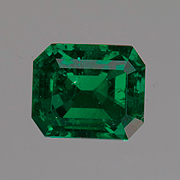 However, what sold in abundance were emeralds up to $500 per carat. Middle quality sold slowly or not at all and fine goods were quiet. A scenario like this one occurred only once in the last four years and it is hard to explain in a normal cause-and-effect manner, except to blame it on the recession. So the Colombians who sold in Bogotá before the show are happy, but those who expected to sell in China were disappointed. The U.S. market seems mixed with many calls for emeralds and steady sales. Buyers are not buying for inventory, however. Emerald Prices: With the U.S. Dollar at a low against the Colombian Peso (1:1910—down 10% from 2010 last month), and the emerald still maintaining its per carat prices at pre-recession levels, emerald prices remain strong even in a downturn in demand. It had to happen. Read all about a motion picture being pitched with the notorious “Bahia” Emerald as its central character—in this month’s Mineral News from Pala International. U.S. agencies have taken some steps but have not shown that they are effectively restricting imports of Burmese-origin rubies, jadeite, and related jewelry while allowing imports of non-Burmese-origin goods. 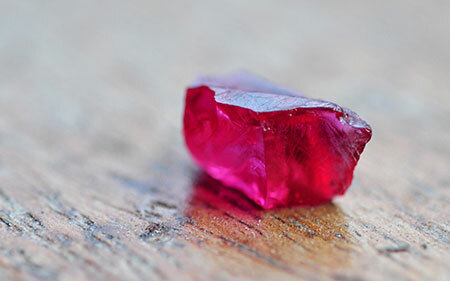 Some U.S. jewelry representatives said import restrictions constrain legitimate ruby imports. Agencies published an interim final rule, but DHS has not developed specific audit guidance or conducted any postentry reviews of importers’ records. In addition, there is little guidance to importers on what constitutes verifiable evidence of non-Burmese-origin. 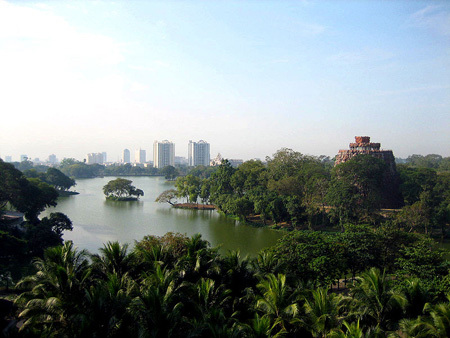 Although agencies have begun to collect data on ruby and jadeite imports, further efforts could contribute to an understanding of whether restrictions are effectively targeting Burmese-origin imports. Agencies sent a required 60-day report to Congress, but it had little information on progress and challenges related to gaining international support to prevent trade in Burmese-origin rubies, jadeite, and related jewelry. Agencies have made no discernible progress in gaining such international support. Strong support and the cooperation of China and Thailand are important to restrict trade in these items, but highly unlikely. The Office of the United States Trade Representative has not requested a World Trade Organization waiver and State has not introduced a United Nations resolution, noting a number of countries would likely oppose a resolution. Finally, there have been no international meetings to negotiate a global arrangement restricting trade in Burmese rubies and jadeite similar to the Kimberley Process for restricting trade in conflict diamonds. Agency officials cited serious impediments to establishing such a framework. GAO recommends that [Department of Homeland Security], in consultation with relevant agencies, take additional steps to issue guidance regarding imports of non-Burmese-origin goods, and that State, in consultation with DHS and the Department of the Treasury, analyze JADE Act measures and challenges and report to Congress how such measures contribute to its efforts to exert influence on the Burmese regime. Thai jewelry industry representatives stated that from October to December 2008, Thai jewelry exports to the United States, on average, declined by 30 percent. Moreover, they stated that roughly 1.2 million Thais worked in the jewelry industry in October 2008 and estimated that 100,000 to 120,000 jewelry industry jobs had been lost by March 2009. Anecdotal information also was included. Some representatives of the U.S. and foreign jewelry industries we interviewed also expressed concern about U.S. import restrictions under the JADE Act. They said that U.S. import restrictions have little impact on the military regime in Burma and negatively impact small-scale miners and traders in Burma and jewelry workers in Thailand. 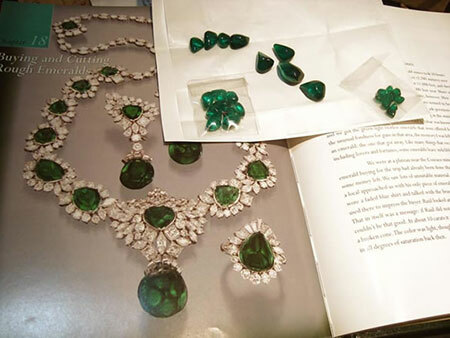 According to jewelry industry representatives, as a result of the act, some U.S. dealers have become reluctant to deal in rubies, jadeite, and related jewelry whether or not they were from Burma. Although the import restrictions in the JADE Act allow trade in non-Burmese-origin rubies, jadeite, and related jewelry, some industry representatives said that the restrictions imposed by the act have reduced trade in rubies overall, not just trade in Burmese rubies. For example, one gemological lab director noted that since the inception of the law, few dealers have submitted rubies for testing, suggesting that dealers are less inclined to trade in rubies overall. Some representatives of colored gemstone dealers expressed concern that CBP agents may not have the ability to differentiate between Burmese and non-Burmese rubies, jadeite, or related jewelry and this could lead to wrongful seizures. 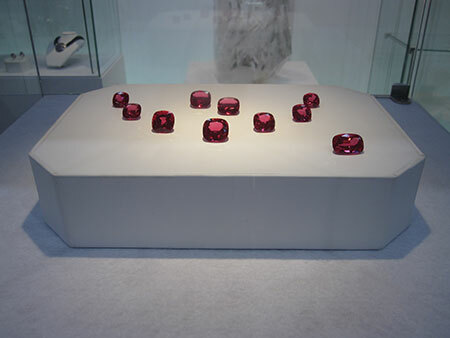 For example, a ruby dealer we met with said he wanted to purchase a 5-carat, reportedly non-Burmese, ruby during an overseas trip. The dealer paid a gemological laboratory to have the stone tested for a country-of-origin determination. 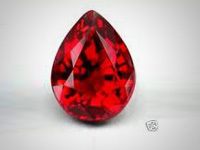 However, he decided not to purchase the ruby because (1) as a result of testing, the stone was judged as originating from one of six possible countries, one of which was Burma, and (2) with no way to definitively prove the stone was not from Burma, the dealer was concerned CBP officials might mistakenly or arbitrarily seize the stone. “US hopeful after first talks with Myanmar” was the somewhat ironic headline from The Myanmar Times last week, regarding Assistant Secretary of State Kurt Campbell’s meeting with a delegation from Burma. Campbell, for his part, has been playing up Burma’s own initiative regarding the commencement of dialogue. “For the first time in memory, the Burmese leadership has shown an interest in engaging with the United States,” he told a September 28 press conference gathering prior to the meeting. 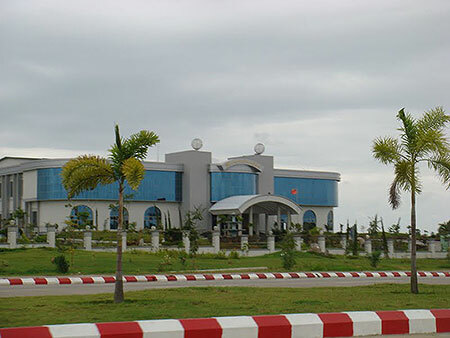 The same Myanmar Times article noted a visit to Burma in mid-August by Virginia U.S. Senator Jim Webb, during which he met with Senior General Than Shwe. Webb’s visit was the first to Burma by a member of Congress in over ten years. Webb then met with Burmese Prime Minister Thein Sein at the United Nations the same day as Campbell’s press conference. Webb chairs the East Asia and Pacific Affairs Subcommittee of the committee on foreign relations. A press release states that this year’s fair is “20 percent bigger than last year in terms of exhibition size.” The expanded size, with nearly 3,000 exhibitors from 44 countries, makes “this year’s edition the biggest thus far in the world”—remarkable in the face of economic conditions that have seen a decline in the number of exhibitors at many venues. A Fine Gem Pavilion will debut this year. Located in Hall 9 of the AsiaWorld-Expo, the pavilion features about 50 esteemed suppliers from 13 countries and regions offering top-quality diamonds, gemstones and pearls. Exhibitors come from Austria, Belgium, France, Germany, Hong Kong, India, Israel, Italy, Japan, Sri Lanka, Switzerland, Thailand and the United States. 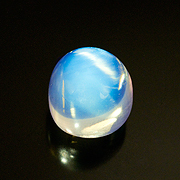 This month we had a power struggle amongst contenders for Pala’s featured gemstone. The victor was a late entry, but it easily eclipsed the competiion. 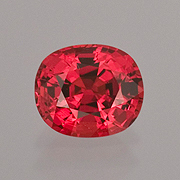 We are pleased to present for September a substantial (not the least due to its weight of 152.47 carats), purportedly-natural red zircon from Tanzania. This is the largest fine red zircon I have ever seen. It is said to be from newly mined material in Tanzania and unenhanced. But note: Pala has not certified this gem with GIA yet. It was shown directly from a master Thai cutter through a friendly, serious gem dealer in Bangkok before he had even purchased the gem. We did an immediate negotiation, and Pala owns said gemstone. 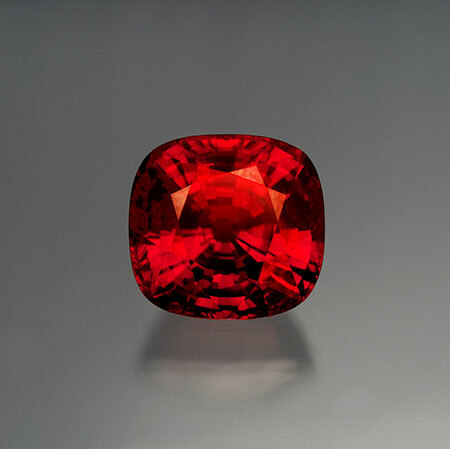 In the sun this zircon glows like a red coal. A slight orange secondary color makes it superbly beautiful. In artificial light it glows red. This is a museum-quality gem. 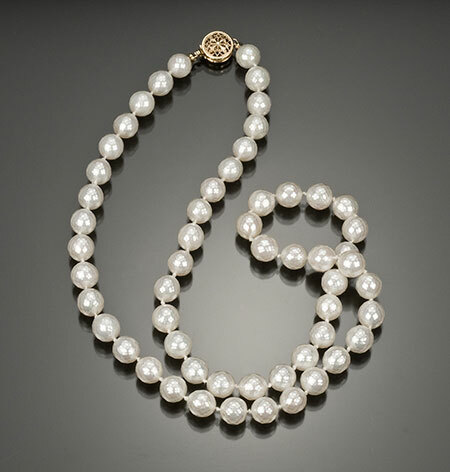 Here’s a twist on your standard pearls…faceted pearls, also known as “flower pearls.” There is a selection of cultured pearls that retain certain properties that lend themselves to be faceted. To facet a pearl you must start with a high quality product, such as a Japanese Akoya white, a Tahitian black, or South Sea golden. Precision faceting must be done by hand to create the flower symmetry and bring out the scintillation. 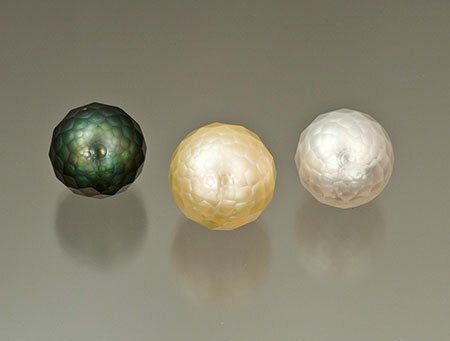 Pearls to be faceted require a minimum growth period of two years in which the nacre must reach a certain thickness to accommodate the facet arrangement without breaking through to the nucleus. The pearl material must also be relatively blemish-free because blemishes cause weakness in the nacre with cutting and become more visible when under a high polish. Interested? See this selection from our online catalog. 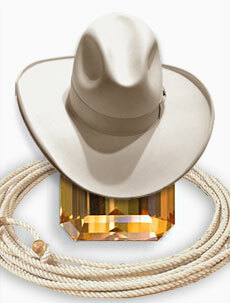 Or call or email us to inquire about our full inventory of faceted pearls. 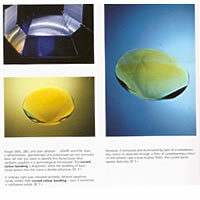 Kazuhito Komatsu was presented with an Award of Japan for Crafting with his work on developing the faceted pearl. Kazuhito won the most prestigious Prime Minister Award and was presented the award by the man himself, Mr. Aso. The Japanese government gives out awards to special technology in many industries from 600 applicants. Starting in 2005 the award ceremony is held every two years. 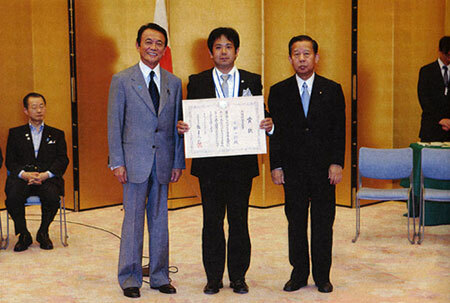 Master faceter Kazuhito Komatsu (center) receives his recognition from Prime Minister Taro Aso (left). 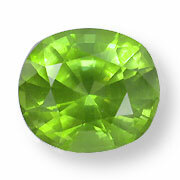 Demantoid garnet in Russia is harvested only during the summer months, due to the relatively brief window of weather-wise hospitality of the Ural Mountains. 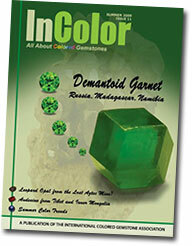 So it’s appropriate that demantoid is cover-girl for the Summer 2009 issue of InColor, the quarterly journal of the International Colored Gemstone Association. Our Pala pals will recognize the authors of InColor’s feature article on demantoid mining (and more): Jason Stephenson and Nikolai Kouznetsov. Jason—who currently is honeymooning with his new bride in the warmer climes of Tahiti—is a Pala staffer who rarely passes up an opportunity to explore the inner world of colored stones, as exhibited by the photomicrograph below. Nikolai and Pala’s Bill Larson have been visiting mines together in the southern Urals for over a decade. 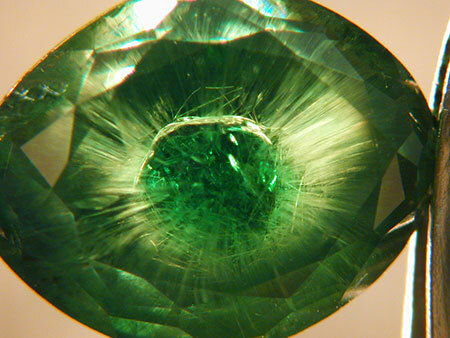 As revealed by the title, “Major Deposits of Demantoid Around the World,” the article isn’t limited to Russian localities. 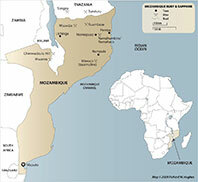 Also covered are Namibia, Italy, Iran, and Madagascar, as well as imitations, treatments, rarity, size, and market value. It’s been two years since we tooted our own horn—or rather since we passed along some of the toots (or would that be tweets now?) we’ve received from our readers. 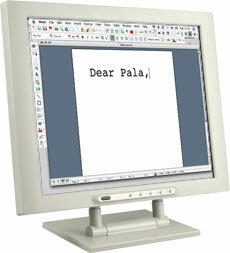 Now that Pala is 40 we thought we’d let you read some of what’s come our way. Note: Affiliations are for identification only; they should imply no endorsement by an organization or institution. Thank you to Sister Elias Freeman, Dave Wexler, John S. White, and Phyllis J. Hughes for catching our typos! The Smithsonian celebrates the 50th anniversary of Harry Winston’s donation of the Hope Diamond by offering the late donor’s firm the chance to give the classic gemstone a facelift—around the edges. 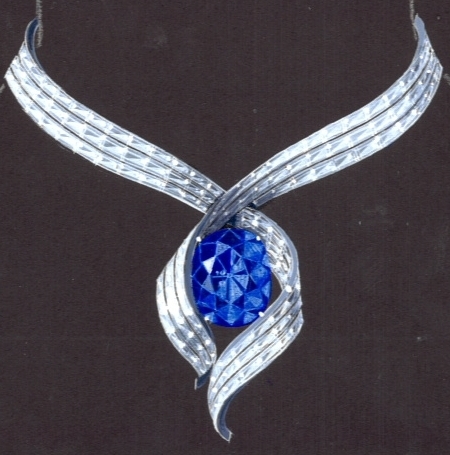 Three designs were drafted by the New York jewelry firm’s team, and the public was invited to vote on the favorite, August 19 through September 7. The winner will be announced September 23. The three settings—Renewed Hope, A Journey of Hope, and Embracing Hope—were themselves “finalists” chosen by the Harry Winston team after dozens of sketches. The first two designs were crafted by Maurice Galli, who comes from a family of designers, was trained in France, and is a twenty-year veteran of the firm, having worked with its late founder. The third design was created by Rie Yatsuki. 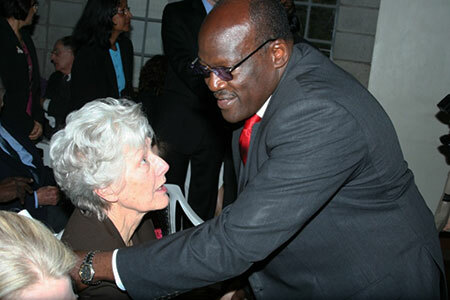 The memorial service for Campbell Bridges was held August 21 at All Saints Cathedral in Nairobi, “attended by family, friends, Kenyan Chamber of Mines members, ICA members, government officials, embassy officials, miners, and members of the gemstone community,” according to the International Colored Gemstone Association. Photographs, a summary of remarks, and video excerpts are available on the ICA website, as well as a poem of tribute by Robert Weldon. A biography of Bridges is available here. As of a week ago, according to the Kenyan Daily Nation, two key murder suspects still were at large. As the article notes, the suspects are known to police, but “are still playing hide and seek.” Indeed, Campbell’s son, Bruce Bridges, told the BBC (reported August 13) that the men who attacked his party—Somalis—all were known to him “by first and last names.” As of August 13, six men had been arrested in connection with the murder, according to the Telegraph (UK), with a seventh arrested as of the 19th as he tried to cross the border into Tanzania (BBC). Those of us who knew Campbell Bridges think that such remarks bear no resemblance to the fine, warm-hearted individual who was admired and respected by many. I only hope the MP was misreported, since he appears to be defending lawlessness, while criticising an honest man, murdered while going about his lawful pursuits. We all know that matters could have turned out even worse. Had Campbell not been relying on police protection, he would presumably have been armed, in which case he might conceivably have shot his attacker dead, and found himself…on a charge of premeditated murder. Last month we received The Centurion What Jewelers Really Think Newsletter and it contained a letter from jeweler Alfredo Molina, which in turn pointed to an editorial by economist Arthur B. Laffer, who predicts a coming inflationary period that will rival that seen in the late 1970s. Laffer exhumes the specter of the prime at 21.5% and gold jumping from $35 to $850 an ounce. In the version of his letter forwarded by The Centurion, Molina suggested that the savvy investor take a cue from Laffer’s projection, and consider assembling “a collection of your own personal crown jewels” as a safeguard for the purchasing power of generations to come. 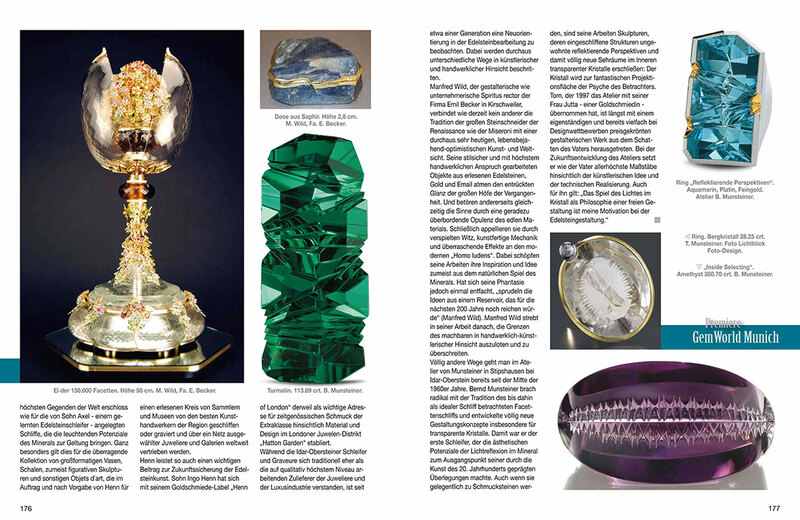 Following an introductory section by, appropriately, gemologist Edward Boehm, grandson of Dr. Gübelin, the authors have saved some of the best for last, with major chapters on the big four: diamond, ruby, sapphire, and emerald. Locality detection, enhancements, masquerading all are covered. Autographed copies of Volume 3—and the previous two—are available from microWorld of Gems. Note: While the website states that Volume 3 is “scheduled for release in 2008,” it is available for purchase now.